Reading the Bible can be extremely helpful as it is not just a religious asset, but also a sea of knowledge. It advises, helps humanity to grow, and gives us peace. 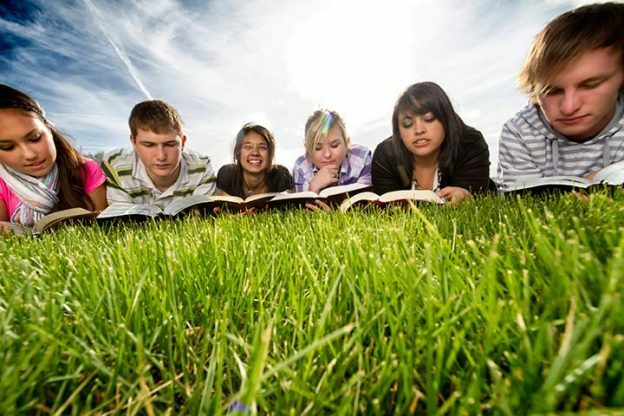 It could be a challenging task to make teens read or study Bible. An alternative source of letting them know of the Bible is to know about the characters in the form of games. Sounds like an idea? MomJunction brings you its collection of such Bible games and ideas for your teenagers. These activities can be incorporated during Bible class, Sunday class, Bible book club meeting, or even family Bible fun time. All the players have to sit in a circle and choose the clues from the bowl. They need to frame questions from clues. It is a buzzer round, meaning one who hits the buzzer first gets to answer the question. The amount of money to be won or lost can increase when it comes to ‘Double jeopardy’. 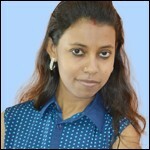 Creating and playing this game is very easy and the enjoy quotient is way too high. It is one of the easiest and most enjoyable games in the Bible games. The players can write clues on a board and ask others to fill in with letters. Whenever one misses a letter or uses a wrong one, other players can draw the hangman. Similar to dumb charades, all your teen needs to do is cut out pictures of the characters and hand them to the groups to act, while the others can guess and answer. To make it simpler, they could write the names of characters on small pieces of paper. 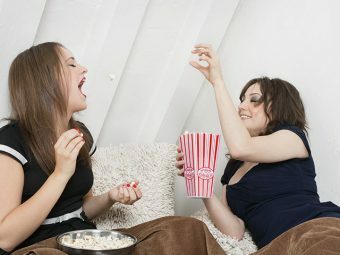 Can be played in groups or individually, this game hones your acting skills too. This game can be played with just 20 questions. But the only criteria is that the characters should be taken from the pages of Bible. Make sure that you tell the participants which part of the Bible, the characters are taken from. The opponents can ask random questions to find out who the character is. Add the point system to make this game even more enjoyable. It can be played in small or large groups. There goes a bit of preparation in this game. It has to be well researched. The participants have to figure out the characters or verses within the allotted time. This increases the difficulty level of the game. The participants need to bring their drawing tools, or they can be supplied by the organizers. One team should draw the topic given to them, and the other team has to guess from the painting. If the answering team cannot guess the characters correctly, a clue is provided. This game requires a lot of planning and patience as it is protracted. Your teen needs to make cards based on Bible characters and topics, and the cards have to different from each other, and then printed. Take the large bowl containing the cards and jumble them before playing Bingo. A quick run through online should help you understand how to make these cards. As the name suggests, in this game the kids need to climb a ladder and arrange the thing in the right order. Each of the teams will receive a stack of blocks, paintings (based on Biblical topics which can be both events or characters) and they would have to arrange them based on the chronology. 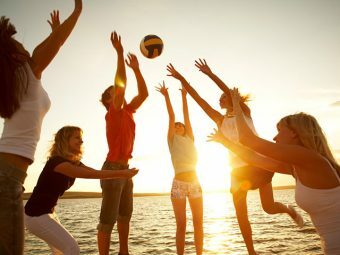 Though teens can also play the game individually, it is more fun to play it in groups. They can use simple cardboard pins or Velcro tapes to make the events appear in order. In this game the host needs to give clues about a character or an event and the participants need to understand the clues, find the right character and event, and answer the book from which the question has been taken. The host needs to predetermine the book as if the characters and events have occurred or appeared multiple times. It is a simple game, which does not require any preparation. The contestants need to quote verses from the Bible till it happens that one of them is unable to quote any. That contestant is then ruled out, and the game starts again. One of the best ways to remember the quotes, the last man standing wins the game. Instead of the traditional pillow passing, as the music plays, the game requires you to pass parcels which contain letters. The one who has the parcel, when the music stops, leaves the game and gives out the hidden letter in the parcel. It continues until all the letters are revealed or the last man is standing. This game requires minimum preparations. They can simply write verses on papers or cardboards and then cut or tear them, and jumble them up. The task is to set the jumbled pieces in a proper order. This should be a time allotted game. Smaller verses can be made to increase the difficulty level in the game. Teens can play the fun dart game with Bible verses than characters. 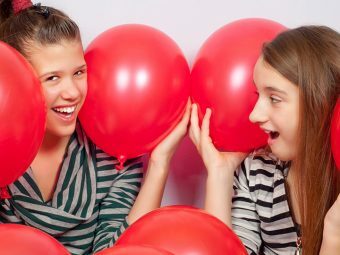 Your teen needs to choose two different verses, write or print them in separate colored papers, and insert them into balloons. After the balloons are inflated, stick them high up in the wall. Two teams have to throw the darts at the balloons and bring out the hidden verses. Make sure that no one goes close to the wall when the darts are being thrown, as it might hurt someone. Two teams get two different verses, which have to be memorized. The participants need to run from a starting point to a board and right only one word of the verse at a time and come back to the same point. Once back, another participant from the same team would repeat this. This continues until the team writes the whole verse correctly. To add to the fun quotient, you can replace running with hopping, jumping, running with a sack, as in sack races. Choose verses which you would like in the game. Divide the verses into smaller sections, and distribute newspapers to the group. The teams have to cut out words from the newspapers which will help make a verse. It can get creative, and some words may not be there in modern English, which would make the task more difficult. The team which does it earlier or makes it more creative that the opponent, is the winner. Ltters instead of words can be cut out. This would make the game more difficult. It can be hysterical as the teenagers get to eat along with this game. Your teen has to choose two different verses, preferably the long ones and cut and jumbles them into two separate sets of bowls. The verses have to be hidden in these bowls by pouring cereals, chips or other such dry food. The food should be eaten to retrieve the verses, which then have to be arranged. It is safe to check that the foods you keep do not give allergy to anyone. The Bible activities are perfect for youth groups or even people belonging to late teens. The activities can help them learn more about different Bible verses and characters. They are a relief from the monotonous Bible lecture and extended discussion. The Bible has many characters, which are apostles, kings, or prophets. Teens need to jot down these names along with several other names which are not in Bible or are apostles, kings, or prophets. Once done, one person calls out the names and the others have to write those names below the designations. This activity is very simple and can help kids a lot to memorize the names and their designations and importance. If you can throw some light on these characters, it would be an added advantage. It will require a lot of research. Your teen needs to find several pairs of characters from Bible who do not have a direct connection between one another. The connection is via others or some conversation where one says about the others. The teams need to find the link. If the teams can find more than one connection, it will help everyone know more about the character. It can either be done by showing pictures with references from the Bible or drawing them on the board. The groups have to describe the teachings and lessons derived from the picture, and their application in daily life. This activity serves a dual purpose of memorizing the verse correctly and realizing the true meaning of the verse. Not just the host, the participants can draw the pictures too. The groups, no matter how many, are given different Biblical verses and they need to present the verses in different genres of music like soap opera themed music, country music, high school music, rap music, simple advertising songs or jingles, etc. The songs can be recorded and played in the future to rehearse and remember the verses. The creativity in creating the songs makes it a great fun activity. There are CD-s available in the market where the songs are made to teach verses. There can be as many groups and each group receives verses, which have to be enacted. The acts could be funny, serious, adapted, anything. Props can also be used. The activity does require one to understand the meanings of the verses. Does your teen get indulged in Bible games during his Sunday school? Which game does he love to play the most? Do you have more games to share? Do mention in the comments box below.